Muathai figting Shaolin monk styel kungfu require t Absolute focus.Training in these sport will certinly help golfers stay in focussed not only during the game but as a way of life. 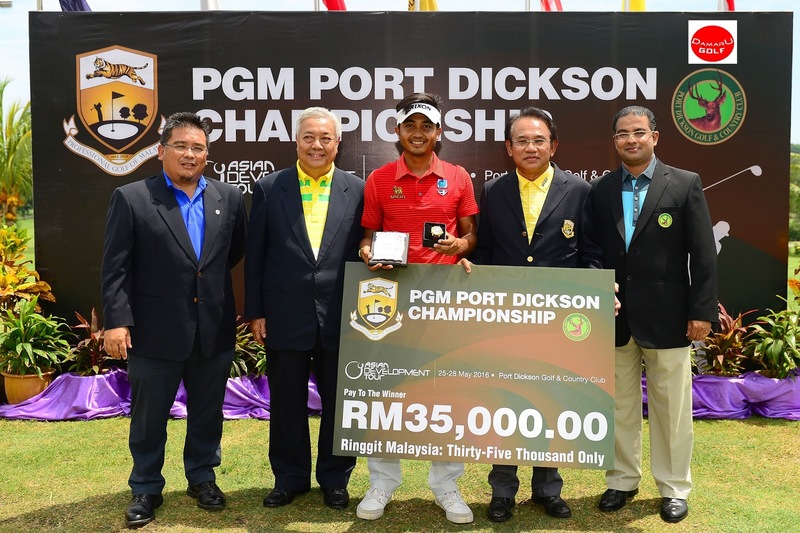 Panuwat Muenlek picked up his second professional Golf of Malaysia (PGM) Tour title in as many months when he clinched the PGM Port Dickson Championship crown today. 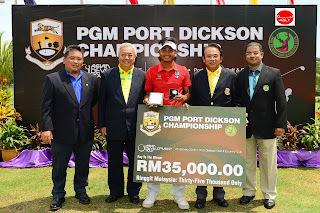 The 21-year-old Thai shot a flawless fourth and final round six-under 65 at Port Dickson Golf & Country Club to win by one stroke from compatriot Jakraphan Premsirigorn and Singapore’s Johnson Poh . Panuwat’s bogey-free effort left him on 14-under 270 and earned him another RM35,000. The Bangkok lad, who triumphed at the Darulaman Championship last month, was delighted with his victory and said: “I am very happy again today. “I played solid golf through the day and it was just enough to hold off Jakraphan and Johnson. “It was not easy but I managed to keep my game steady. My putting was good today,” added the player who started with a round of 70, before adding a 68 and 67, and then finished off in style – securing two birdies on the front nine another four coming down the homeward stretch, including the last two holes that effectively sealed the deal. Twenty-four year-old Jakraphan, who also closed with 65, had three birdies on the front nine and four on the back nine – he too finished with a birdie at the 18th. However, a bogey at par-4 11th hole spoiled his chances. Still, he was pleased with his visit to Port Dickson and said: “I hit the ball good this week and finished with a good round today, but it was just not enough to match Panuwat." Singaporean Poh had a last day 67 and like Jakraphan took home a cheque of RM18,500 for joint second. He made the turn at two-under, with a bogey at the 7th hole, and then managed another two birdies at the 14th and 16th holes. Thirty-eight year-old Australian David Gleeson, who turned pro in 1999, carded a three-under 68 and was tied for fourth with Malaysia’s Gavin Green, who closed with an even-par 71 after coming into the last round with a one-stroke lead. They finished on 10-under 274. Oscar Zetterwall shot the low round of the tournament – an eight-under 63. That outstanding performance saw the Swede climb up from 37th to joint sixth place. He was tied on nine-under 275 with Malaysian Nicholas Fung, who had a 70.